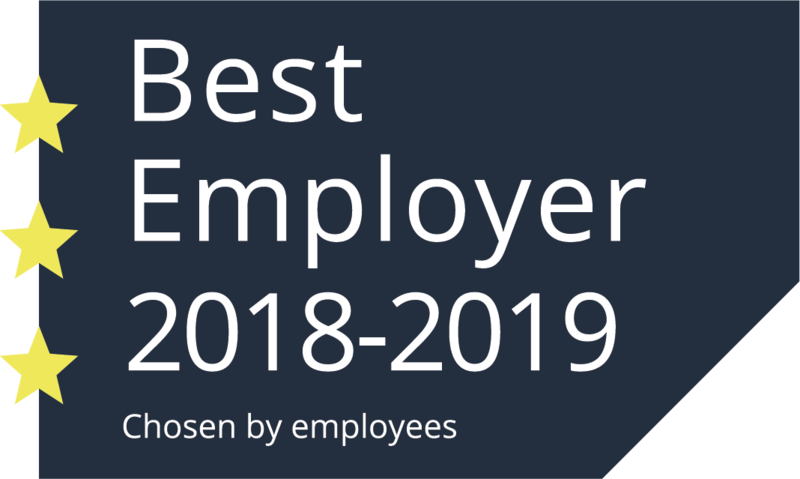 Naktuinbouw is the Best Employer for 2018-2019! Having the right person in the right place and making use of their strengths is an important driver for us. An open culture, room for initiative, cooperation, and personal development are of paramount importance to us. That is why we are ever so proud to have achieved the Best Employer quality mark for 2018 -2019, with three stars. This ranks us among the best employers in the Netherlands. Our employees provided their opinion and assessed our employment practices in an employee engagement survey. The research was carried out by Effectory, an independent agency that specialises in employee surveys. We scored higher than the industry average on topics such as collaboration, personal development, and customer focus. That is how we earned the quality mark! Best Employers was launched 15 years ago and has since grown into the largest independent quality mark for good employment practices in the Netherlands. Organisations with a Best Employers quality mark are rated higher by their employees than their peers in the sector on being a good employer. Organisations can only earn it through a favourable assessment by their own employees. This means that the quality mark is proof for applicants that they have found a good employer. Effectory and Intermediair Magazine started mapping and rewarding good employers and good employment practices 15 years ago. They believe that companies that value their employees perform better and that employees make the difference.